Although U.S. explorer Hiram Bingham achieved worldwide fame for having “discovered” the Inca citadel of Machu Picchu, all the historical evidence points to the fact that the famous archaeological site had never been lost. Bingham mounted three expeditions – in 1911, 1912 and 1915 – to Machu Picchu, which he dubbed “the lost city of the Incas,” but amid his adventures he sidestepped historical information that was found and even failed to mention it to important experts in the area, among them one of his compatriots. This person was Albert Giesecke, a 29-year-old U.S. academic who was the dean of the Universidad San Antonio Abad in Cuzco and gave him the references and even the name of Melchor Arteaga, the peasant who later guided Bingham to the famous ruins on July 24, 1911. But before Bingham, who is thought to be the inspiration for “Indiana Jones,” other people visited the site, although always in search of treasure, mineral deposits or river routes to the Amazon. Lizarraga carried out the first efforts to clean up the ruins along with Justo A. Ochoa, Gabino Sanchez and Enrique Palma, but he drowned in the Vilcanota River in February 1912. She provided maps that prove that the Inca citadel had been known and – apparently – looted in the 19th century by German adventurer August Berns. In addition, the historian revealed that Bingham had among his papers the resolution authorizing the presence of Berns at the historic site, and she also said that British historian Clements Markham, who became president of the Royal Geographical Society in London, also had maps showing the location of Machu Picchu. 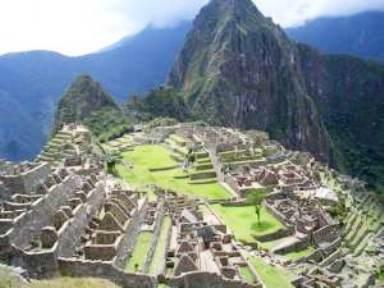 Peruvian historian Carlos Carcelen says, meanwhile, that Berns settled in the Cuzco region and founded a lumber and mining company in the late 1880s and then set about looting the artifacts he uncovered at Machu Picchu with the knowledge of the government.